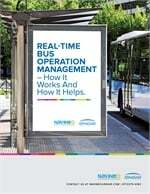 The Regional Transportation Authority (RTA) in Chicago announced First Transit will manage its Travel Information Center (TIC). The new TIC will be located in Glen Ellyn, Ill. as of January 2014 and will handle the 5.2 million calls the center receives annually. The TIC will offer several service enhancements including an expanded Interactive Voice Response System scheduled for launch in July 2014, which will provide trip-planning information about riding the Chicago Transit Authority (CTA), Metra and Pace, 24 hours a day. Currently, the RTA’s TIC operates 20 hours a day. Riders can reach the center by telephone, email or via Web chat. The new TIC will also generate automated customer satisfaction surveys. The transition to the new center will be seamless to customers, who can continue to call from anywhere in the region. The RTA will also continue to provide its online trip planning services at rtachicago.org.